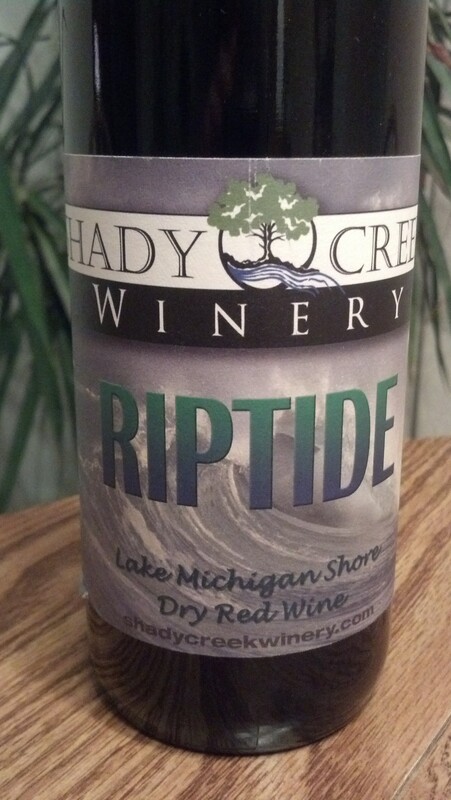 Shady Creek Winery Riptide NV | Wine Splash! Playing Russian Roulette with a few cases of my wine in the cellar today brought out this tasty little red blend from the Michigan City, Indiana area. Since it is not written on the label, I am guessing that it is a blend of Cabernet Franc, Chambourcin, and maybe some Merlot. Garnet in color with the aroma of blackberry, plum, and cinnamon. Full bodied with a soft mouthfeel. Flavors of blackberry pie, ripe black cherry, and spice! On the second taste, more dark berry emerged with hints of earth and even some green pepper. Long finish with nicely balanced tannins. This actually went well with Thanksgiving turkey but also try it with ham, grilled red meat, pizza, medium cheeses, or spicy foods. I bought this 6 months ago and it is non vintage. I feel this wine would last 1 year to 18 months so if you have a bottle, open it within a year of buying it. We give this wine 89 points! WineSplashing!